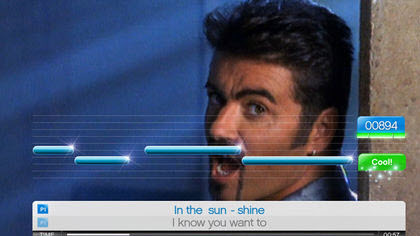 SingStar Chart Hits is the latest in the SingStar franchise, allowing you to sing along to your favourite songs in the privacy of your own home. 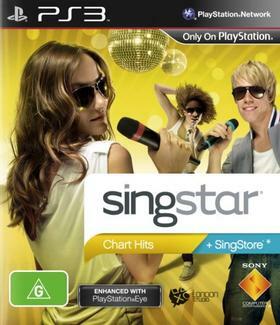 If you’ve played any of the previous SingStar games you know what you’re getting with this latest edition, with the object still being to sing the songs and match the rhythm and pitch to the original as well as you possibly can. Based on your performance you’ll be given a score. Much like the Guitar Hero franchise, the only thing that really changes from title to title is the tracklist, and your decision to purchase will come down to whether or not you like enough of the songs on offer. If that tracklisting has you salivating then get out there and buy the game immediately! For me though, it feels like a lot of the Australian songs aren’t really “hits”, they are just there because they are local. It’s also strange how most of the songs are reasonably recent, but then there’s an inexplicable throwback to a 20+ year old Milli Vanilli track, along with older tracks from George Michael, Alex Lloyd and Ben Lee. I can understand why Alex Lloyd and Ben Lee get a run, and those songs were unquestionably popular in their day, but the apparently random inclusion of the other two tracks just seems careless, almost like the thought process was “chuck in some Aussie artists and fill the rest up”. 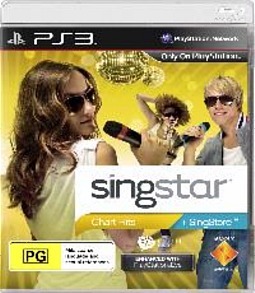 The SingStar mechanics are still very good, so in summary: if the tracklist appeals to you, this game will be an 8 out of 10 AT LEAST. But if you’re like me and this tracklist doesn’t appeal to you at all, then give the game a wide berth! 4 out of 10.